An Energy Performance Certificate (EPC) is required by law when a building is built, sold or put up for rent. If you are a landlord or homeowner and you need to provide an Energy Performance Certificate (EPC), it will need to be completed by an accredited energy assessor who will carry out the assessment and produce the certificate. The EPC is valid for 10 years. 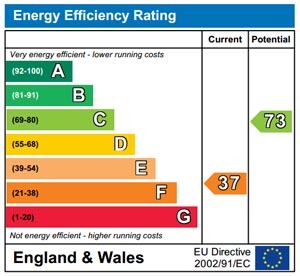 An EPC gives home owners, tenants and prospective buyers an assessment of a property performance rating, in terms of its energy efficiency and environmental impact, to help reduce CO2 output. Energy Performance Certificates (EPCs) give information on how to make the building more energy efficient and reduce carbon dioxide. Information about energy efficiency and carbon emissions is summarised in two charts that show the energy and carbon dioxide emission ratings. To see an example of an Energy Performance Certificate (EPC), click here. BSE 3D are fully accredited for providing you with and EPC with a range of experience in carrying out EPC assessments on any type of building.